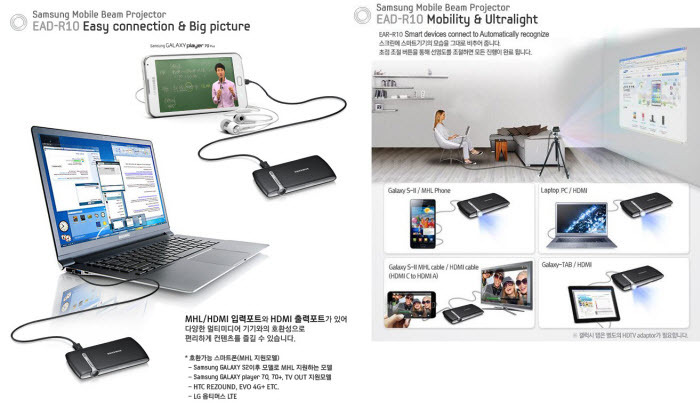 Samsung Galaxy devices are always good; most of them have unique best features and specifications. Samsung does not stopped its production to just smartphone and other handheld devices. It shows its peculiarity in other accessories also. 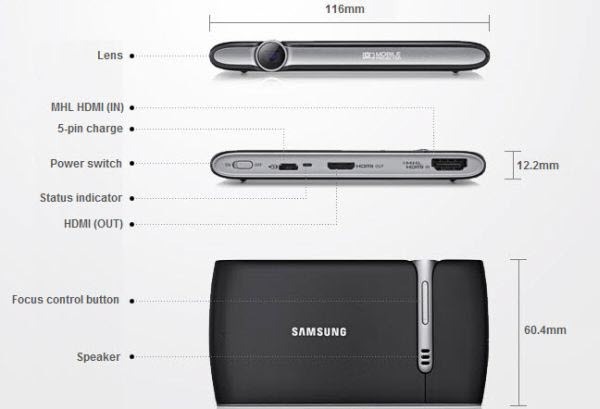 Now, it recently revealed the Samsung Mobile Beam Projector which is compatible with most of the Galaxy devices from Samsung and these include the Galaxy Smartphones, Galaxy Tabs, PCs and Galaxy Players. 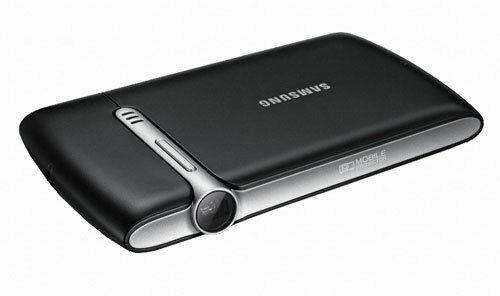 The Projector looks just like a mobile phone, but it is smaller in size when compared with standard Galaxy S III. But there is no difference in design as it looks like a mobile phone, with one of the sides having the projector lens. The only requirement of the device is that it should have the HDMI port and compatibility, and as soon as it is connected to the device, the detection is done automatically. One sad thing about this Mobile Beam Projector is; only the Korean people would be able to buy it and take the full advantage of it. As of now, there is no information whether the international buyers would be able to purchase it. The Mobile Beam Projector would have the 1650 mAh battery, and this is quite enough to project the screen for around 2 hours, when the brightness levels are around 20 lumens, and the content that is displayed is of nHd resolution with 640 x 360 pixels. Its dimension is 116mm x 60.4mm x 12.2mm and there are sockets for the HDMI in and out, and a 5 point charging socket all on one side, while other side has the lens of the projector. A small speaker is also present along with a focus control button and status indicator light. The projecting lens of the Beam Projector lies in the side panel, and the other side has got the power key along with the various sockets, and the charger point. The simple and slim projector connect to the smart devices like the smartphones and tablet devices and even the PCs, and are recognized easily and automatically when connected.